Valentines Day is such a fun holiday, I mean its no secret I love to celebrate any holiday but just a day to remember to say I love you to those you love, I’ll take it! 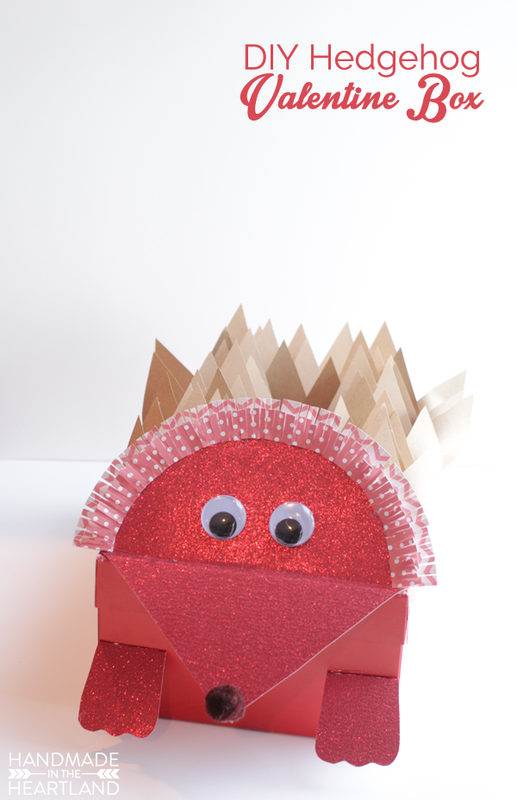 Many of you are probably trying to come up with something to decorate your kids valentine box with and today I’ve got simple instructions to make this adorable hedgehog valentine box. I’ve also teamed up with the people over at coupons.com to show you the adorable Valentine’s Day Magazine on The Good Stuff by Coupons.com. 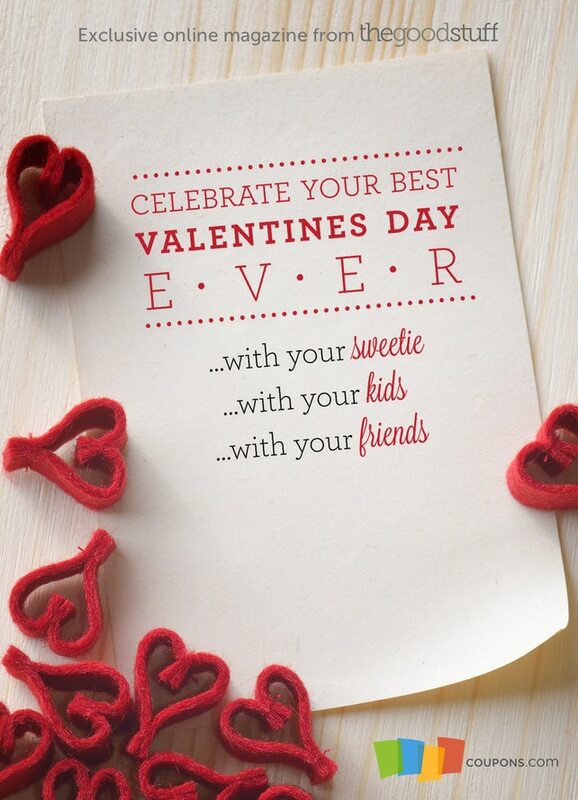 Its a great online magazine that has tips for celebrating valentines day with your sweetie, kids and friends. Also if you are shopping online for gifts for next Saturday you should definitely check out the Coupons.com Valentine’s Day Deals. Its always nice to save a few dollars! 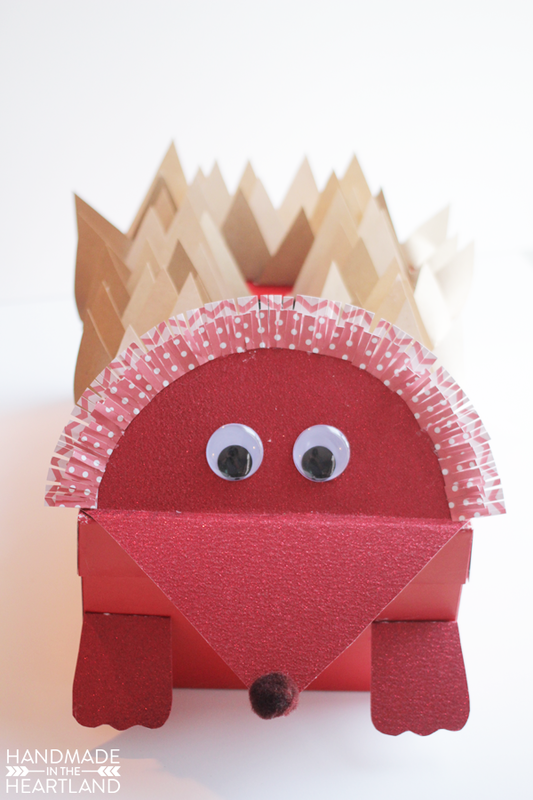 Now on to the instructions to make this fun hedgehog! 1. Cut your pieces. I made a pdf with the shapes that you need to cut out, so download the pattern pieces for the hedgehog HERE. 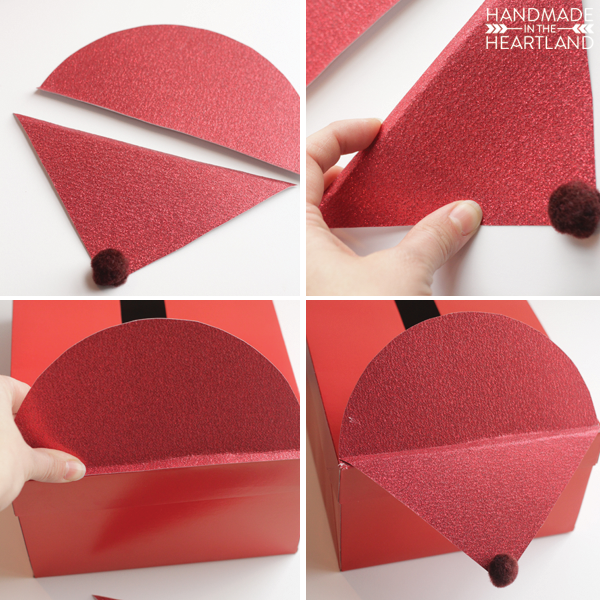 Then cut out the large triangle and large half circle out of your glitter cardstock as well as two of the feet. 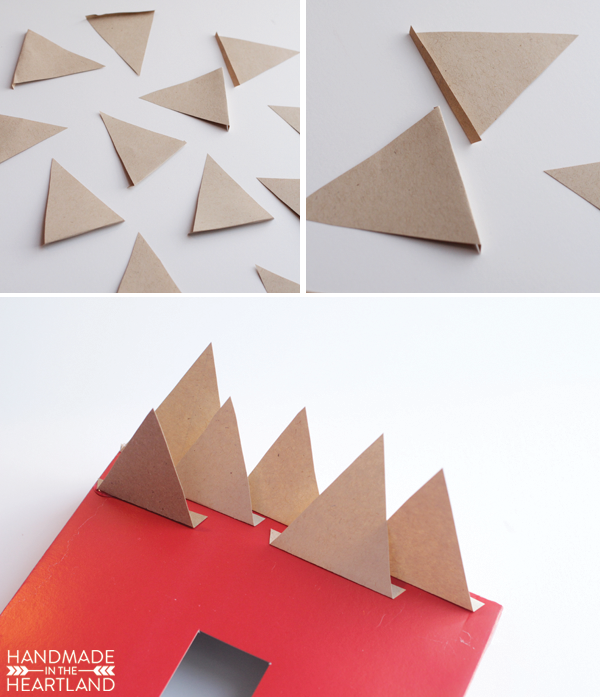 Then cut 20 small and 20 large triangles out of brown paper. 2. Glue your pom pom to the triangle for the nose. 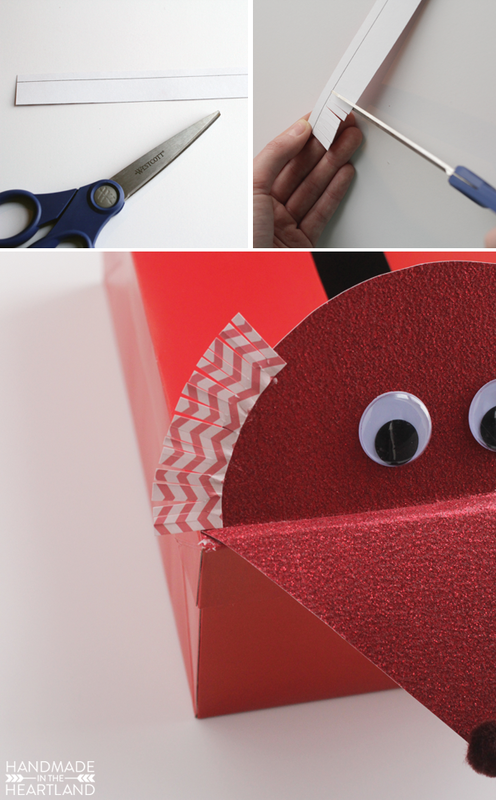 Make folds at the edge of the triangle and flat side of the circle about 1/4″ in. see photos below. Glue the circle on first and the triangle on second to the box. Then glue your eyes on, you could glue the eyes on before you put it on the box if you want. 3. Cut a 1″ strip out of one of your pieces of scrapbooking paper and a 3/4″ strip. Mark 1/4″ all the way down and cut up to meet the line. You’re cutting little slits that look like hair. You’ll then cut the strip into pieces so you can glue it on to the half circle. see photos below. 4. 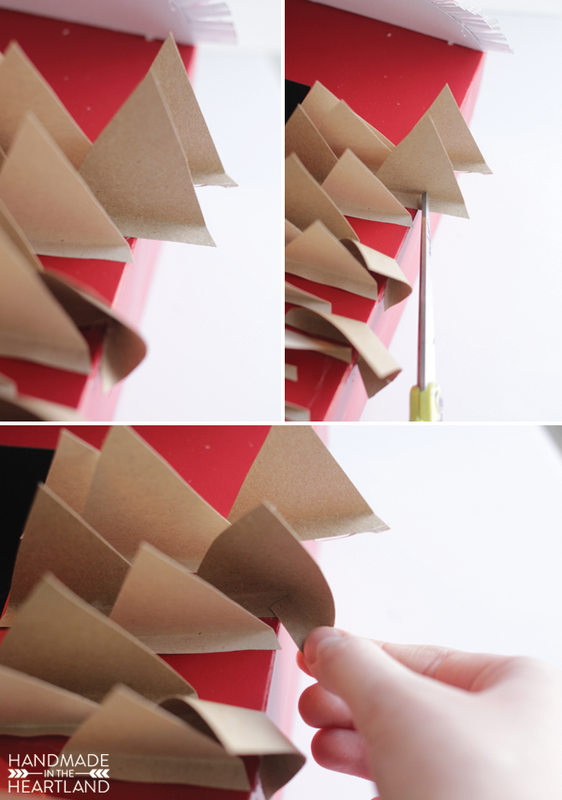 Fold down the bottom of your triangles just about a 1/4″ and using the flat side of the fold glue the bottom of the triangles down to the box. see photo. 5. I wanted the hedgehog to have his poky hair coming around the side so I put some of the triangles on the edge and then cut them and glue them to the side. see the photo below. Voila! 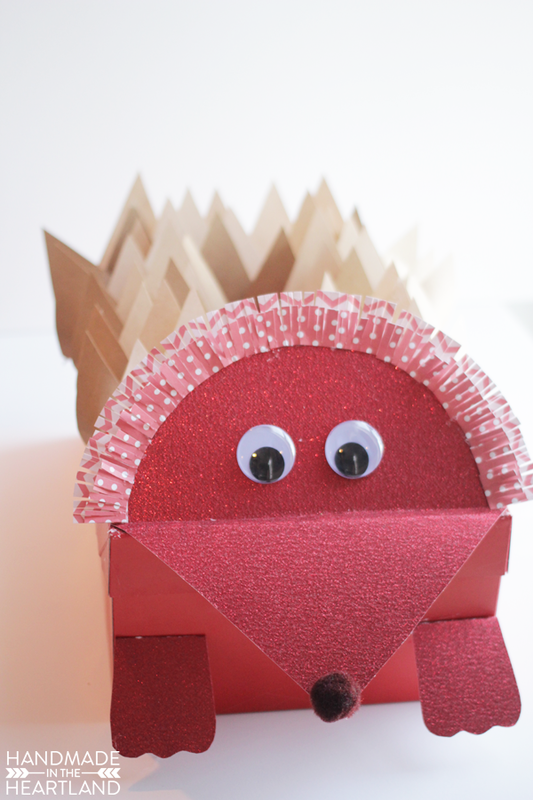 You’ve got the cutest hedgehog valentine box in the world! Click on the picture below to see lots of valentine ideas from the people over at coupons.com!